The Doctor is back in his 11th incarnation in the immensely popular BBC series that originated back in the early ‘60s. Part of the Doctor Who mythos allows for new casting in the primary role due to severe physical injury as he is forced to retreat in order to regenerate, but in doing so both his appearance and personality are altered. So when the Doctor first stumbles out of his time machine, called the TARDIS, and is no longer being played by actor David Tennant but instead is played by bow-tie wearing Matt Smith it comes as no surprise to regular viewers of the show. As is normal with a new Doctor, he picks up an assistant to come along with him on his journeys. Amelia Pond (Karen Gillan) whom he first meets as a child and then comes back to meet again when she is an adult not only accompanies the Doctor through time and space, but many times is the one who saves the day. 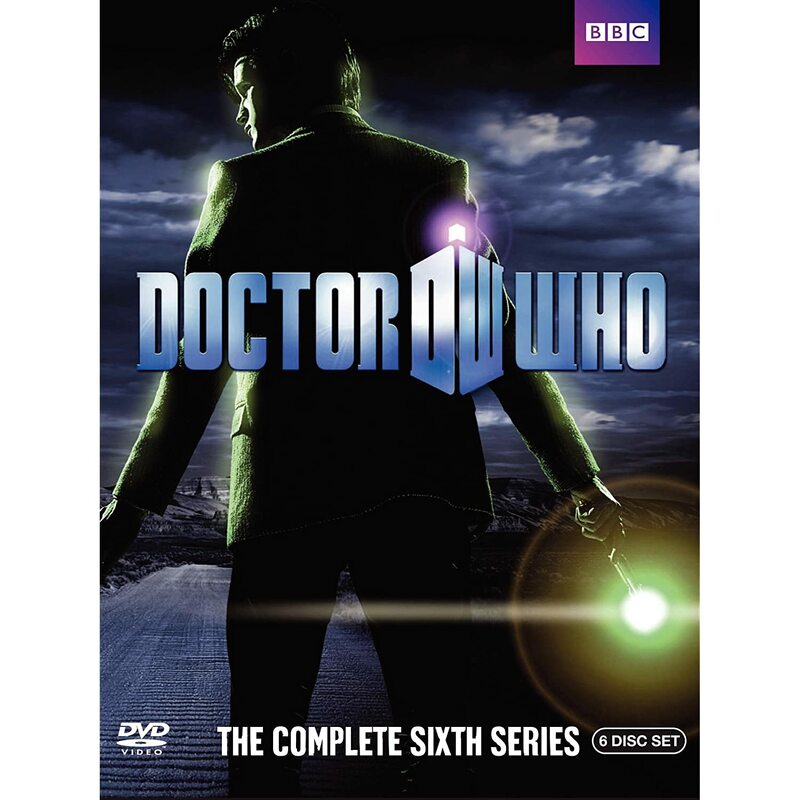 The majority of the episodes are independent of one another, but they also have a grand story arc involving a rip in the space-time continuum that seems to be following Amy from the moment she meets the Doctor until the series conclusion where the entire universe and the very whole of existence is at stake. But the two are not alone in their adventures as Amy’s fiancé, Rory (Arthur Darvill), and the Doctor’s possible wife of the future, River Song (Alex Kingston), join them in their exploits. Just like the series prior, historical characters such as Winston Churchill and Vincent Van Gogh are featured mixing historical fact with science fiction. And to challenge the Doctor there are an ample supply of enemies such as Weeping Angels, evil creatures that appear as stone statues only when someone is looking at them; Silurians, a group of reptilians living near the Earth’s core; and the Doctor’s most hated enemy, the Daleks, genetically manipulated cyborgs. The DVD comes in a special holographic box with six discs. The first five discs contain two or three episodes each, along with a mix of features. The final disc contains “Doctor Who Confidentials” and all of the trailers. The Confidentials are short entertainment news programs that give an in-depth look into each of the episodes and what the cast and crew is up to. The other features that are scattered throughout take different formats. Sometimes they can be outtakes or deleted scenes. They also take the form of video diaries seen through the eyes of cast members using camcorders around the set, crew and cast commentary on select episodes, or “Monster Files” that focus on the creation of a particular Doctor Who adversary. The new casting of the series is absolutely brilliant. Matt Smith and his bizarre and almost plastic looking features combined with his frenetic portrayal of the Doctor make him one of the most interesting characters on television. Smith is more than enough to make it a great series, but he’s also got Karen Gillan who is not only the most beautiful assistant the Doctor has ever had, but is just the right combination of girl next door and spitfire to be able to carry the show on her own. The writing for the series is impressive and enjoyably unpredictable. There are many times when the plot looks like it’s going to follow one trajectory and suddenly it changes and goes off into a completely different direction. There is also a lot of emotion in the storylines as well dealing with Amy and Rory’s relationship, the loss of Amy’s family, and a truly emotional episode about Vincent Van Gogh. One of the downfalls for some of the previous Doctor Who series was the lack of special effects. Granted it’s supposed to be about the story, but when the aliens or monsters the Doctor is fighting look cheap and fake it loses something, particularly with American viewers. But that’s not the case for the fifth series. The quality of special effects rivals anything produced by Hollywood today. The creatures look realistic and the special effects are well executed. There are only two small negatives about the new Doctor Who release. The first is that the overall arc involving the tear in the space-time continuum is a little too reminiscent of the final episode “All Good Things” from Star Trek the Next Generation. And the second is in the packaging of the DVD set. After using it only a few times, the glue has already lost its effectiveness causing the trays that hold the discs to fall out. I need to check this out, the Daleks are one of my favorite villains ever, EXTERMINATE, DESTROY! Outstanding take on this latest incarnation of the good Doc and welcome to TVGA Todd ! You join good company with our UK-based Doctor Who correspondent RevVews, who no doubt will be joining in on the conversating in no time as well.